The overall African elephant population plummeted by over 20 per cent in the past decade, falling to an estimated 415,000 mainly due to a dramatic surge in ivory poaching. According to the IUCN, around 111,000 elephants were lost between 2006-2015 with the largest declines in Central Africa, Tanzania and Mozambique, with the majority being illegally killed for their tusks to meet rising demand for ivory in Asia. 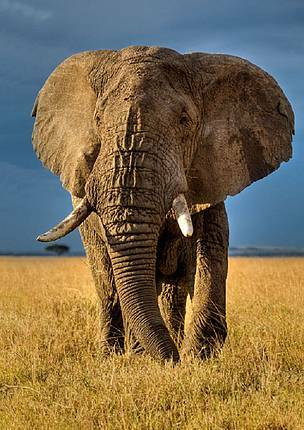 Despite increasing national and international efforts to stop the killing and the illegal ivory trade, there have been few signs of any sustained reduction in the overall poaching pressure across Africa, although some countries, such as Kenya, have managed to cut poaching rates. Around 20,000 elephants are now being poached each year across Africa. While this new figure is less than estimates for previous years, it is still an unsustainable number – an ongoing slaughter that is driving the continent’s elephant population lower and lower. Based on data and analysis in a recent report by the CITES Monitoring the Illegal Killing of Elephants (MIKE) programme, the lower number does not represent any lessening in the overall poaching threat. Instead, it indicates that poachers are now unable to find and kill as many elephants as before since there are fewer roaming the continent, with the majority living in southern African countries that have avoided the worst of the poaching crisis until now. The new figure certainly does not suggest that Africa has brought the poaching crisis under control. There is still an urgent need for African countries to scale up their efforts to tackle poaching and target the trafficking kingpins, while consumer countries in Asia must rapidly act to reduce the demand fuelling the crisis by closing their domestic ivory markets and cracking down on the illegal trade. Indeed, there are already indications that poachers – and the transnational organized crime networks driving the illegal trade – are turning their attention to the sizeable elephant populations in previously secure parts of southern Africa. There has been an increase in the killing of elephants in South Africa’s Kruger National Park and reports of poaching incidents in Botswana, which boasts the largest population of elephants on the continent. Furthermore, there is anecdotal evidence of an emerging trade in elephant skin and bones, which would add to the poaching threat. 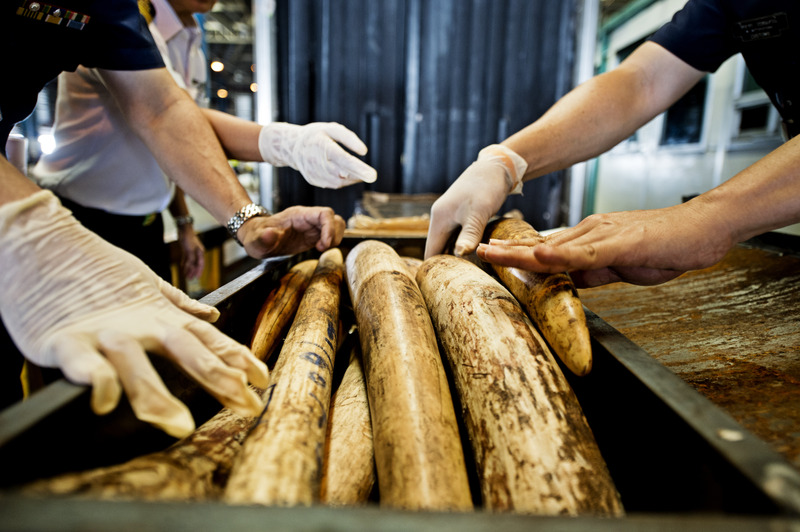 Indeed, analysis by TRAFFIC has shown that the global ivory trade continued unabated in 2015 (the latest year analysed), while Viet Nam seized five shipments of ivory this October alone – amounting to 4.5 tonnes. “There has been some progress in recent years with growing international momentum to tackle the illegal ivory trade and an increasing number of countries taking concrete steps to strengthen their anti-poaching and anti-trafficking efforts,” added Kinnaird. 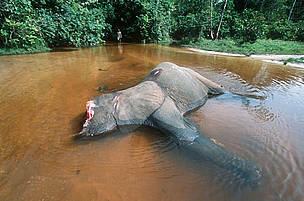 Forest Elephant killed by poachers for tusks. Dzanga-Ndoki National Park, Central African Replublic (CAR). Seized Shipment of Illegal African Elephant Tusks.